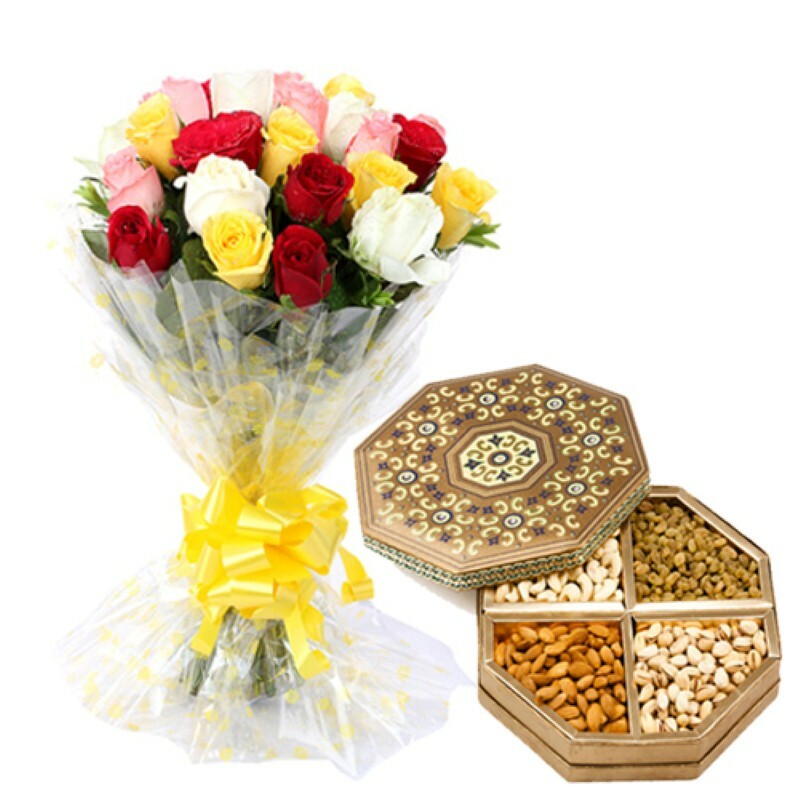 Product Consists : Bunch of 25 Mix Roses along with 500 Gms Mix Dry fruits Box. Those unsaid words and thousand of emotions will be expressed beautifully on Valentines Day by the beautiful bouquet of colorful Roses. Show your sincerity towards your special someone with this amazing gift item which is all set to bring smile on the face of the recipient. 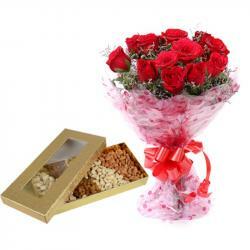 This pink rose is best gift for married couples to keep the romance alive in the relationship. Add some more effect and show more care of her health with nutritious and crunchy assorted Dryfruits. 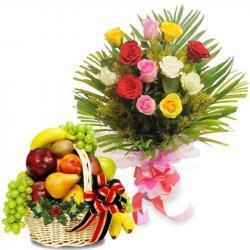 We are assured you that your dear ones will love to received this gift. 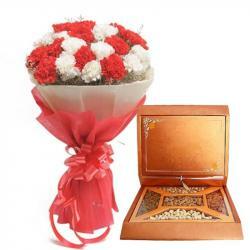 Buy this gift item for your better half and express your genuine love for her. 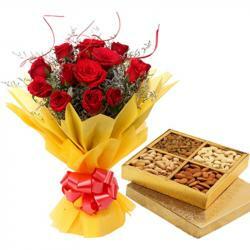 Product Includes: Bunch of 25 Mix Roses along with 500 Gms Mix Dry fruits Box.